A Stronger Worker Protection Standard is now in effect. What Does It Mean for Workers? Agricultural work is one of the most dangerous occupations in the US. In January 2017, those who work in this important industry were afforded stronger protections. On January 2nd, the first wave of revisions to the Worker Protection Standard (WPS) went into effect, aiming to minimize the adverse health effects of pesticide exposure. The long-awaited implementation of the key new provisions to the WPS represents an important victory in farmworker health. The WPS is the primary federal regulation to protect agricultural workers from pesticide exposure — and it hasn’t been updated since its implementation in 1992. For years, the Environmental Protection Agency (EPA) worked closely with stakeholders and advocacy organizations to revise the WPS and prepare for its implementation. The following revisions took effect on January 2nd. This summary is pulled from MCN and Farmworker Justice’s Issue Brief on the revised WPS. A second wave of revisions will be implemented in January 2018. Children under the age of 18 are prohibited from handling pesticides and from early entry into restricted areas. Employers must post warning signs around pesticide treated areas in outdoor production when the product used has a restricted-entry interval (REI) greater than 48 hours. The posted information must include safety data sheets (SDS) for each pesticide used. SDSs contain essential information about a pesticide, including toxicity, health effects, first aid procedures, storage, disposal, and necessary protective equipment for handling. Workers who must enter a treated area during a REI receive detailed information about the pesticides used in the area where they will work and the personal protective equipment (PPE) required by the labeling. During pesticide application in outdoor areas, only properly trained and equipped pesticide handlers involved in the application may enter areas up to 100 feet around the application equipment (known as an application exclusion zone or “AEZ”). An applicator must suspend application if a worker or other person is in the AEZ. Employers must comply with Occupational Safety and Health Administration-equivalent standards on medical evaluation, fit testing, and training for pesticide handlers whenever a respirator is required by the labeling. In an emergency situation, an employer must promptly provide (even without being requested) the SDS, product information (name, EPA registration number and active ingredient) and circumstances of exposure to treating medical personnel. 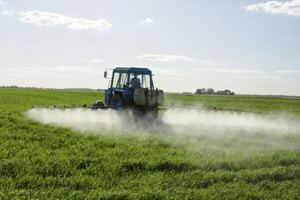 Workers may designate another individual to access information about the pesticides used in their worksites. This is important in the event a worker is fearful or otherwise incapacitated. Clinicians may request information. When an agricultural worker seeks medical assistance due to pesticide exposure, employers must promptly make available SDSs, product information, and application information to medical personnel upon request to better facilitate diagnosis and treatment. These hard-fought revisions if implemented and enforced accordingly will help reduce pesticide exposure in agricultural workers, which prevents pesticide-related illness and injury. Years in the making, the revised WPS is a stronger standard. While not eliminating the risk of pesticide exposure, the standard provides important safeguards that are long overdue. We at Migrant Clinicians Network celebrate its implementation and continue to stand steadfast in ensuring its important provisions are followed in the fields. We look forward to the remaining revisions coming into effect next year. MCN Webinar: What clinicians need to know about the newly revised Worker Protection Standard. Presented in April of 2016, this webinar takes a deeper look at the new WPS.